A rich Merlot finish combined with contrasting brushed Nickel pull knobs. Made with a Sophisticated contemporary feel. A rich merlot finish combined with contrasting brushed nickel knobs creates a beautiful contrasting appeal. Spacious five drawers provide you with plenty of storage space. 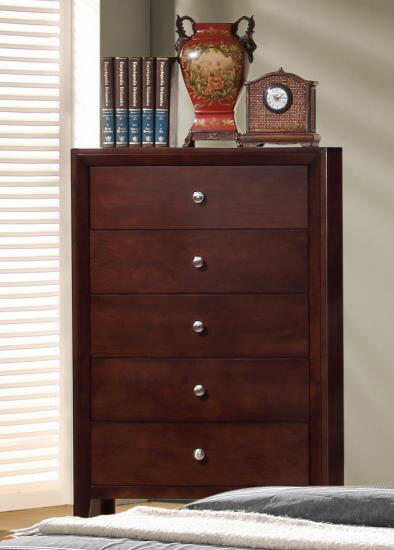 This chest is simply a great way to keep organized while adding a nice aesthetic feel to your bedroom.